Born an Everton supporter, I’m on the wrong side of the Pennines but I’ve now lived in Yorkshire longer than my hometown of Liverpool. Study brought me to Bradford over 25 years ago and a years training as a student Dispensing Optician at, what was then David Kenyon Opticians, was enough for me to stick around. Little did I know then that I’d make a home, marry and raise two children in Bingley, though I’ve managed to “brainwash” them both in to supporting the Toffees. 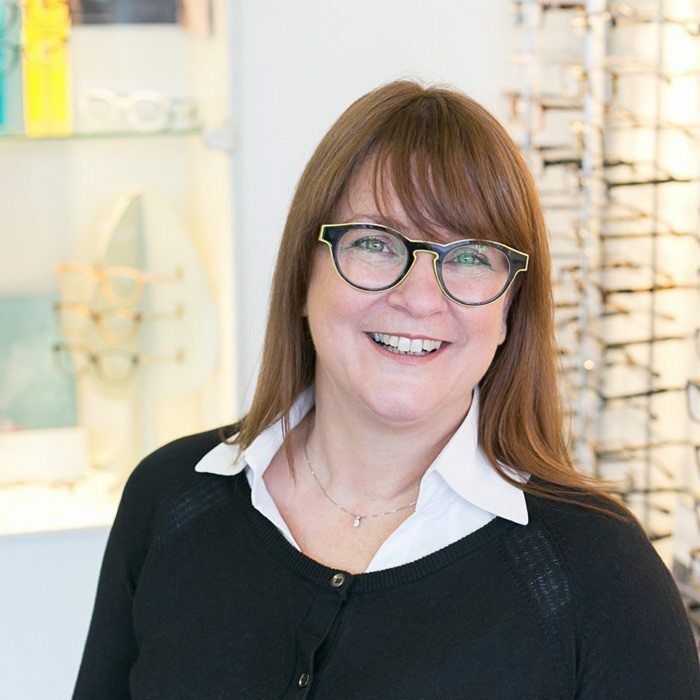 Working in the same community Opticians over the years has given me great satisfaction. I’ve seen people I met as children become adults and bring their children for appointments. Initially I wanted to know what the real name for my wonky eyes was and why I needed to wear glasses. Once I’d got these answers and many more besides. I realised that the world of Optics was a rare place that fulfilled both my interests in science and fashion. Which is your favourite eyewear brand? I love “Mad in Italy” Eyewear at the moment. Their use of materials and quirky styling makes for some amazing frames. Mirror patterned Nylon fronts, carbon fibre detail and sides made out of granite that has been ground down and blasted on to a stainless steel skeleton appeals to the inner geek in me. Tea, coffee, gin or beer? Not usually in that order but yes all of those. Wine is most probably my favourite tipple. I’m no connoisseur so I rely on our local wine merchant who seems to know what I like. I’m a bit of a new music magpie, always looking for the next great song rather than treasuring an old classic. At the moment my shiny tune is Wages by Bad Sounds. What do you see 20 years in the future for Optometry? I see a greater involvement in the management of Glaucoma/Diabetics and Age-related Macula Degeneration in the community. The equipment that is common place in hospitals will become standard in most Opticians. The pressure on Hospital Eye departments that we are already seeing today can only be relieved by greater involvement from the local Optometrists. A penguin walks into the Opticians right now wearing a sombrero. What does he say? I put the wrong pole code in my Sat Nav and ended up here. Please can I book an Eye Test. I’m a West Country girl who landed in Yorkshire (Bingley) in 1991 and once here, I was told my Grandfather was from Gargrave which instilled a love of both Yorkshire and family history which is now a time consuming side-project! I come from a very sporty family, my daughter plays football for Bradford City. Me, I run. My cousin once joked I couldn’t run further than the next lampost… I now run 25km a week and regularly run 10k races. Nobody is more surprised about that than me! Nobody in my family wears specs and as I’m blind as the proverbial bat, I wanted to find out why (I now know, but I won’t bore you). 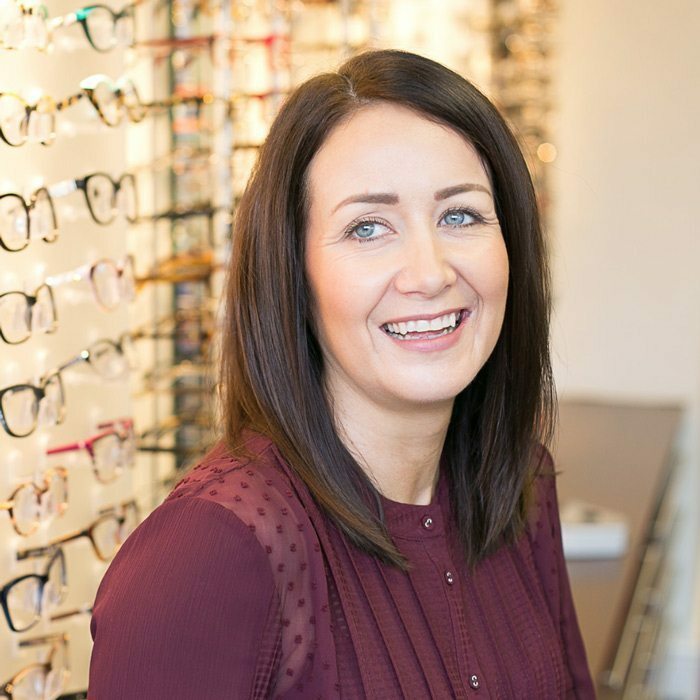 I took a job at a national optician chain and was encouraged to pursue a career; I ended up in Bradford ready to take on Opthalmic Dispensing! Years on, I love the thrill of seeing a customer, who tries something out of their comfort zone, realise their new look is awesome and suits the right down to the ground. The products and technology also gives me a continuous education, which is fantastic. Oh, and I love talking to people! Face à Face. It’s funky, colourful and pushes the boundaries. It makes me smile. Mason’s Lavender Gin with Rose Lemonade is pretty awesome! I like most things, but I’d have to go for ‘Playing with Knives’ by Bizarre Inc.
State of the art technology that is only really available within the hospital eye service at present, will be the norm in a community practice. I need some cool polarising sunglasses, this sombrero is doing nothing for my street cred! I’ve heard you can help? 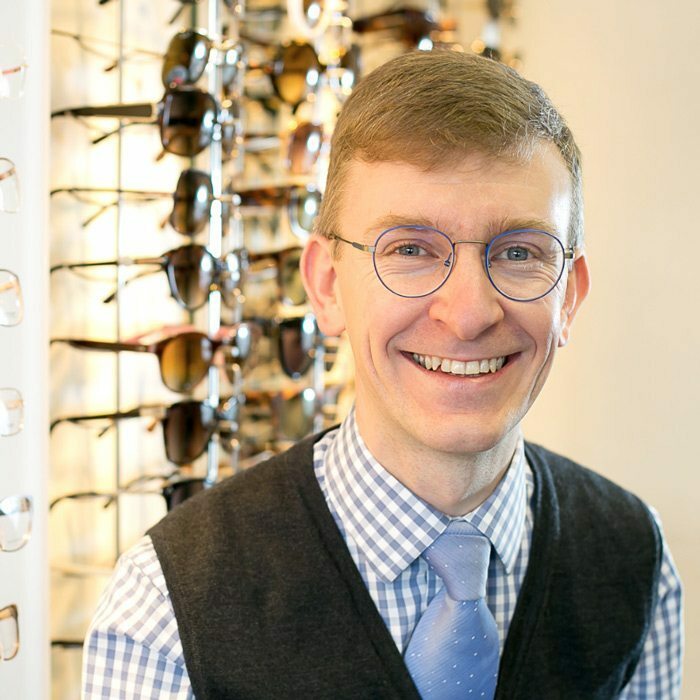 I have worked as an Optometrist at Kenyon Opticians since January 2016, and I also do some clinical teaching for Optometry students at the University of Bradford. I’m married with two young children. 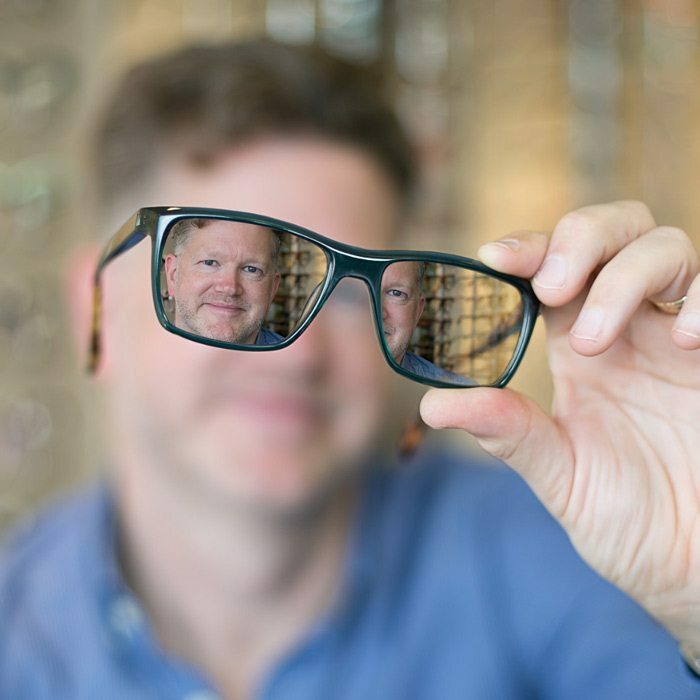 Optometry has a scientific basis in physics, which appeals to me, but it also has a clear purpose to help people – to help them see as well as possible – so it feels like a meaningful job. 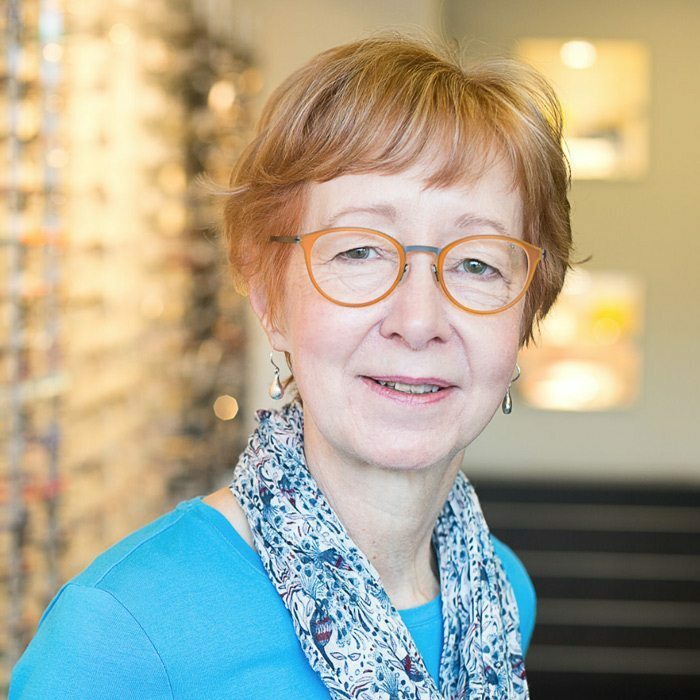 Patients often have questions about their eyes, and I enjoy helping them to understand what I’ve found during the sight test and eye examination. My wife wears Face à Face frames at the moment. They’re one of my favourites. Technology will have moved on, NHS funding will probably be under more strain, but people will still have two eyes and will want help to see as clearly as possible. Some things don’t change. ¡Hola! ¿Puedes arreglar mis gafas de sol rotas? I’ve been a qualified Optometrist since 1981 and I still get a buzz from improving people’s vision and looking after their eye health. Whether it’s helping maintain someones’ quality of life, sharing a teenagers’ excitement when they try their first pair of contact lenses or seeing a reluctant reader start to flourish at school; there’s a lot that makes it worth coming to work. Having a part time job in retail as a teenager I knew I enjoyed working with people. Optometry allows me to use my science background in a people focused way. Face à Face for their use of colour and funky styling. The uptake of new technology will increase our role in eye health and shared care with hospital departments, and will make dispensing spectacles and contact lenses more bespoke. What won’t change is the importance of providing the best quality care and products for each individual. Is this where I get my feet done? Michelle, wife, mum of two girls. 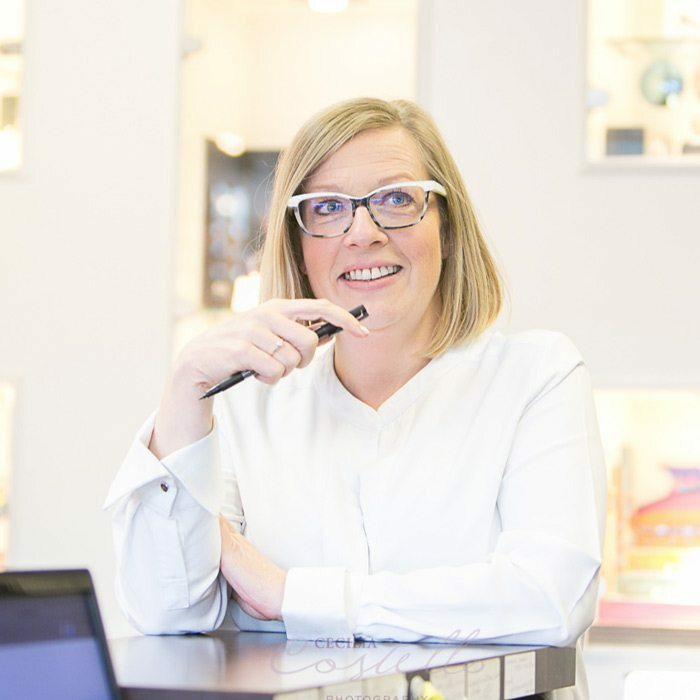 23 years optical experience. Gym fanatic and travel lover who enjoys eating out with a good glass of Red. Face à Face as it’s funky and bold. Coffee first thing, Gin last thing. Mr Brightside (Killers) because it makes me want to dance. Me, myself and I. Liz. A grandma to one wonderful granddaughter, a mother of two, the owner of a wired haired vizsla (dog) and partner to Nick. I love being arty, but would say socialising is my best attribute. I was born in West Africa but have lived in Kirkby Lonsdale, Haworth, London, Haworth and now live in Bingley, which I love. I’ve done some jobs in my life, such as Nanny, Training Manager, Project Manager, Events Manager, Florist and now receptionist. And my most favourite thing in the world is spending time with my gorgeous granddaughter. At the moment Face A Face. They’re my latest glasses. Really funky and different.